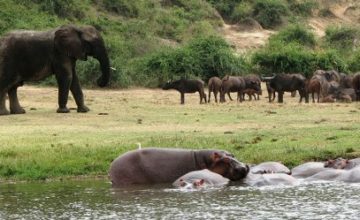 Gorilla safari Uganda / Gorilla tours Uganda trips taking you Gorilla trekking Uganda – Bwindi Impenetrable forest form the greatest number of Uganda safaris. 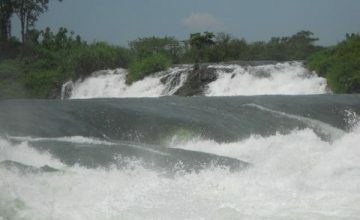 Book a Uganda Gorilla safari tour, go gorilla trekking in Uganda Africa! 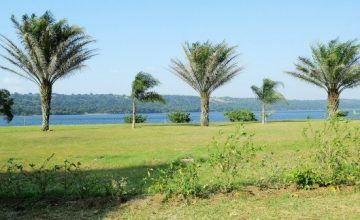 A tailor made Uganda gorilla safari allow you to select the places that you feel like exploring with no influence of Prime Uganda Safaris. 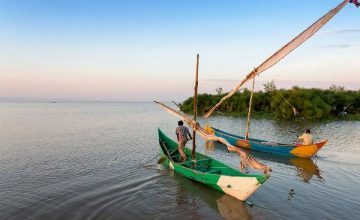 The tailor made safaris involves you selecting the preferable travel time and the travel pace that suites your interests. 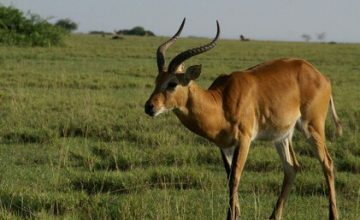 The Prime Uganda Safaris Tailor made safaris are entirely private where you travel yourself, you’re travelling companions and the Prime Uganda Safaris local professional safari driver guide who has expert knowledge about Uganda and it’s her sites visited on safaris in Uganda not forgetting the extension to Rwanda. 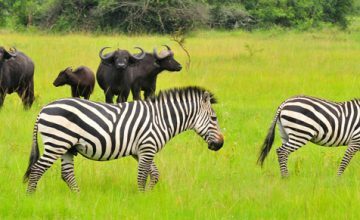 Your Tailor made Gorilla safari in Uganda itinerary is further enhanced by the Prime Uganda safari expert who gives you in depth details of the safari and possibly suggest littler further additions and subtractions that deem necessary. 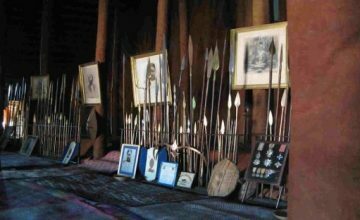 Mostly they can help you incorporate the touch of the local people and cultures not forgetting the other novelic sites that would be far beyond the knowledge of the average traveller. 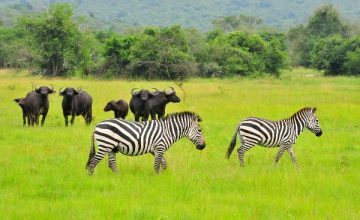 Whatever micro destinations and activities that you opt to encounter, Prime Uganda Safaris is always dedicated to offering you ultimate safari memories of a lifetime with great authenticity and style. 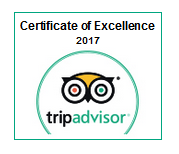 The following information is very important for those who intend to have a Ugandan Gorilla safari African safari tour. In science, the mountain gorillas are known as Gorilla beringei beringei and are noted to be the descendants of the ancestral monkeys which are known to have lived in Africa and Arabia at the beginning of the Oligocene epoch about 34 – 24 million years ago. 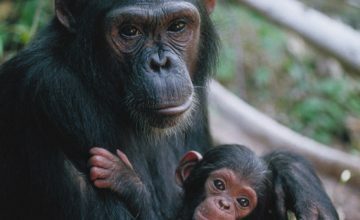 Despite the poor record of their evolutionary history, it is believed that the primate group which evolved into gorillas separated from the common ancestor along with the chimpanzees and humans about nine (9) million years ago and the initial relative of mountain gorillas is known as Proconsul Africanus. The mountain gorillas are known to have separated from the Eastern lowland gorillas about 400,000 years ago while the two are believed to have separated from the western lowland gorillas about 2 million years ago. 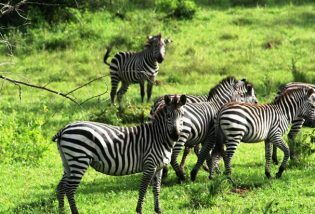 A Gorilla safari in Uganda / gorilla trekking Uganda is an unforgettable life-time memory experience . 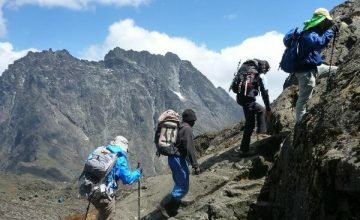 Gorilla trekking in Uganda is an amazing captivating search involving long walks following gorilla trails in Bwindi Impenetrable National Park majorly or Mgahinga National Park. 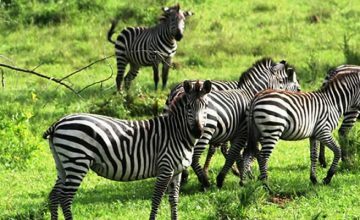 An African safari in Uganda to trek mountain gorillas in Uganda deep in the heart of Africa’s most spectacular rainforests is life memory for every traveller that undertakes it. 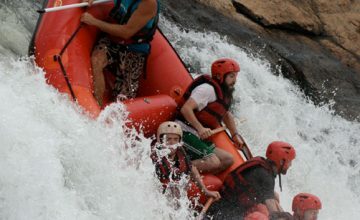 A Uganda gorilla trek trip in Bwindi forest can take anything from 15 minutes to 8 hours, depending on where the Uganda mountain Gorillas are slept the previous night. 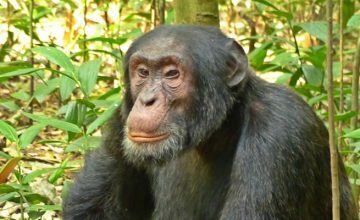 At the end of each Gorilla trek in Uganda`s thick forested mountains, you will stay for only one hour photographing, admiring, learning and interacting with these great mountains Gorillas or apes. 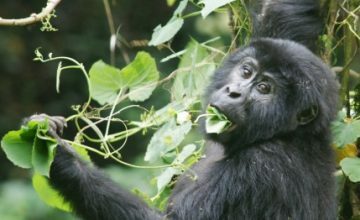 A Uganda gorilla tour require one to have a gorilla permit that is bought in advance to allow one track gorillas because only a maximum of eight people are allowed to search each gorilla group in Bwindi, and Mgahinga. 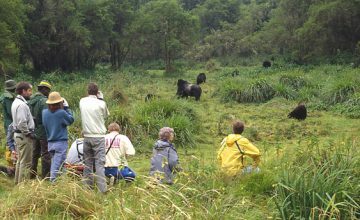 Uganda has 14 mountain gorilla groups open to tourists and one spends only one hour observing these beautiful mountain Gorillas and taking photos. 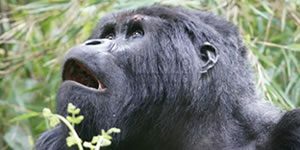 Gorilla groups in Uganda Bwindi include; Mubare,Habinyanja, Rushegura in Buhoma sector in the north, Ruhiija sector in the east has Oruzogo, Bitukura, Kyaguriro. 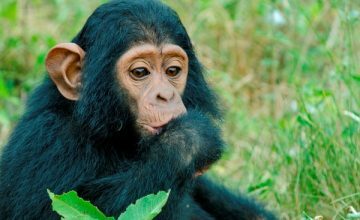 In the southern sector in Rushaga has Nshongi, Kahungye, Bweza, Busingye, Mishaya plus Bikingi & Bushaho for gorilla habituation in Uganda. 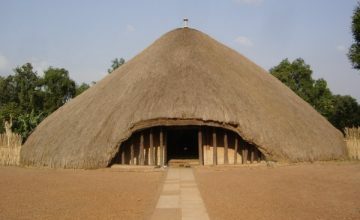 Mgahinga Gorilla National Park has only one group Nyakagezi. 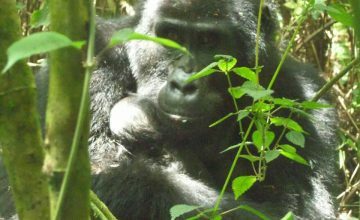 New Gorilla Families in Uganda are soon to be officially opened for trekking tours. According to IUCN classification, Gorillas are in two sub species namely the Gorilla gorilla and Gorilla beringei. However, this classification has not been an easy matter. 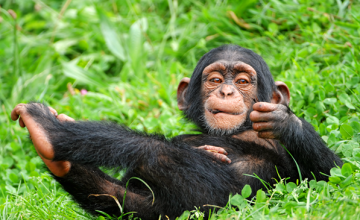 The genus was first referred as Troglodytes in the year 1847 but in 1852, it was renamed gorilla. A taxonomist Colin Gloves in the year in 1967 suggested that gorillas should be divided into three Sub species namely Gorilla gorilla gorilla for the western low land gorillas, Gorilla gorilla gruaeri for the eastern lowland and Gorilla gorilla beringei for the mountain gorillas. 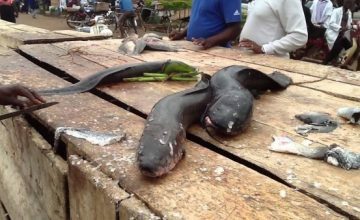 This was reviewed by IUCN and categorised them in their current setting. 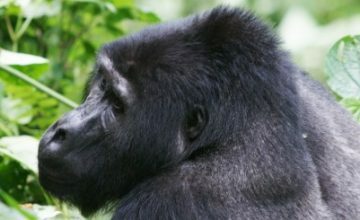 Mountain gorillas in Uganda are known to be vegetarian animals that on rare occasions enjoy the supplement from the insects. They are shy and less offensive creatures though with frightening eyes and body features. The mountain gorillas are the most powerful of all the apes and an adult gorilla can weigh up to 275kg with a height of 1.7m (6ft). The Mountain gorilla fur is noted to be thicker and extended in length than that of other gorilla species which gives them the capacity to thrive in colder temperatures. The Mountain gorillas are distinguished by the nose prints that are distinct to every individual. The male gorillas feature an average weight of 195 kg and stretch to 150 cm in height while standing upright and they at times weigh twice that of female gorillas. The female gorillas feature a mean weight of 100 kg and stretch to 130cm in height. 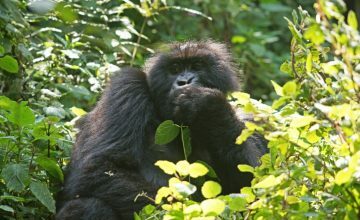 The Mountain gorilla sub species are noted to be the second largest Primate Species second to Eastern Low land gorillas. 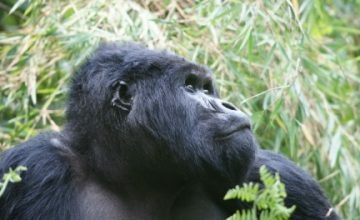 The adult male gorillas feature more notable bony crests which appear on top and the at the back of their skulls presenting their heads with a more conical shape. The crests get hold of the strong temporalis muscles that are attached to the lower jaw. The mature females also feature crests but are less prominent. 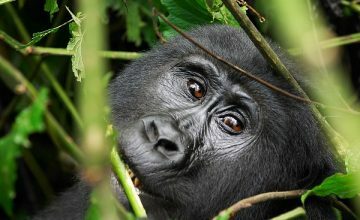 The Mountain gorillas like other gorillas feature dark brown eyes that are framed by a black ring surrounding the iris. It can be noted that adult male gorillas are referred to as Silverbacks as a result of a silver patch that develops on their back coming along with age. The hair on the backs of the mountain gorillas is noted to be shorter unlike on other parts of the body while the long hair is on their arms. 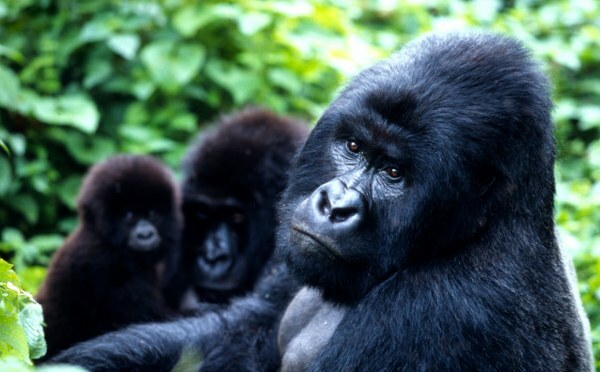 The mountain gorillas are recorded to be terrestrial (land dwelling) and quadrupedal (walking on four legs). 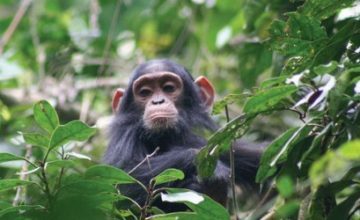 It can also be noted that the mountain gorillas will climb the trees to extract fruits provided the branches can contain their weight and the mountain gorillas can run bipedally up to 6m. Just like in most of the apes unlike humans, the mountain gorilla arms are noted to be longer in length than the legs and it applies knuckle-walking to support the weight on the backs of curved fingers other than the palms. Mountain gorillas are noted to be diurnal and are active between 6am and 6pm and considerable hours of this period is spent foraging lots of food (vegetation mostly) that is needed to fill its gigantic bulk. The mountain gorillas forage in the morning, rest around midday, forages again in the afternoon and then retire for overnight. Every gorilla puts up a nest from the available vegetation and it does this every evening and cannot sleep in the previous nest even if it is at a very close distance. However, the infants tend to share with their mothers. The mountain gorillas depart their nests at dawn 6am unless it very cold and overcast which forces that forces them to delay in their nest a bit. 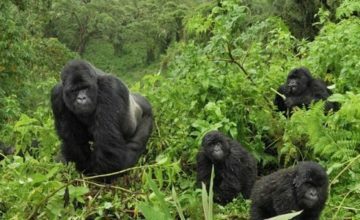 On Uganda Gorilla Safari / gorilla trekking Uganda tours, Gorillas are noted to be thriving in the cloud montane forests in the Albertine rift that stand at an altitude of 2,200–4,300 m above sea level. 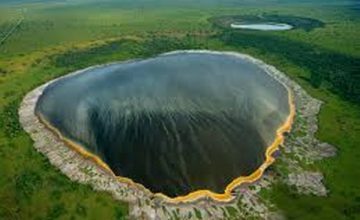 These are distributed into two separate but close ranges with the Virunga Volcanoes which is a chain of eight volcanic mountain stretching from Congo through Rwanda to Uganda and the detached Bwindi Impenetrable National Park in the south west of Uganda. 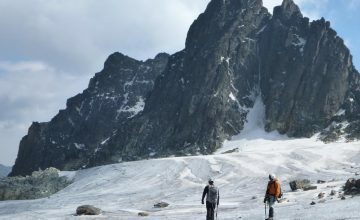 It can be noted that the vegetation on these raised altitudinal landscapes is very dense and it definitely gets scarce when approaching the higher elevations of the Mountains. 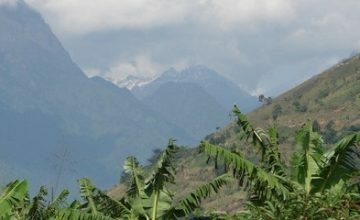 The mountain gorilla forests are noted to be misty, cloudy with cold conditions. Mountain gorillas are recorded to be herbivore Species and the majority of its diet is comprised of leaves, stems and shoots (85.8%) from the 142 Species of plants. 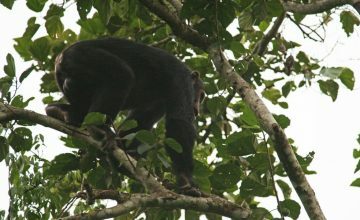 The gorillas also feed on the tree bark (6.9%), fruit (1.7%) and flowers (2.3%) along with minor invertebrates (0.1%). 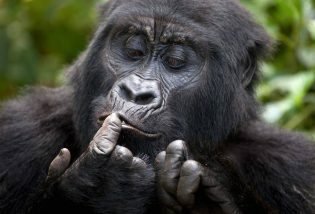 The mature male gorillas are noted to consume up to 34 kgs everyday whereas a female can consume up to 18kgs. 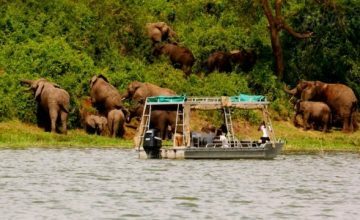 Must read for all Travelers that come for Uganda Gorilla Safaris! 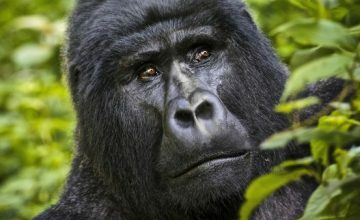 Where do Gorillas live in Uganda, where gorilla trekking Uganda is done? Mountain gorillas are known to be living in the Africa’s tropical rain forests distributed into two sects with about 900km in between the eastern and western lowland gorillas. 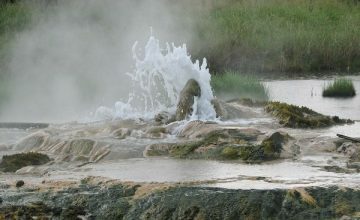 Initially, this was a single uniform habitat before it was separated by the ice age that created patches of forests and dry lands in the middle. 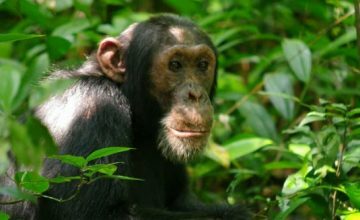 The dry land eventually grew Savannah vegetation that did not favor the existence of apes and even when the rain forests regenerated, the gorillas could not re-unite again. This kind of separation led to distinct development paths including gorilla exterior and the genetic factor explaining the difference between the eastern and western gorillas. The western gorillas are known to be thriving in the countries of Cameroon, Nigeria, Central African Republic, Gabon, Republic of Congo, Equatorial Guinea, Angola and extreme west of Democratic Republic of Congo. 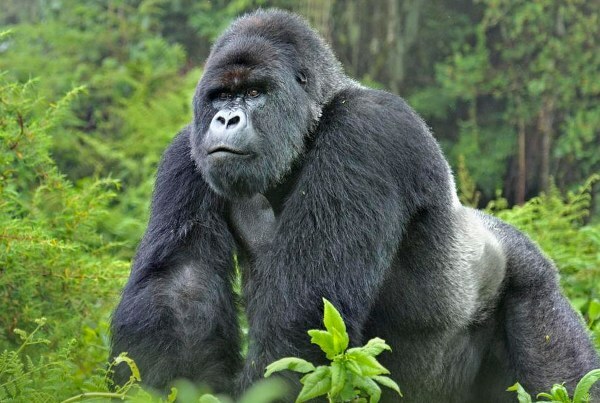 The Eastern gorillas which include the eastern lowland and mountain Gorillas are located in Uganda where they are encountered on Uganda Gorilla safaris, Rwanda as viewed on Rwanda Gorilla safari, and Democratic Republic of Congo in a geographical spread of about 112,000km2. 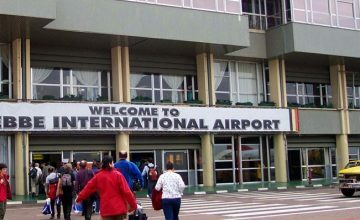 However, it can be noted that mountain gorillas are limited in range to the Bwindi Impenetrable National Park and the Virunga massif which comprise of Mgahinga National Park in Uganda, Volcanoes National Park in Rwanda and Virunga National Park in the Democratic Republic of Congo. 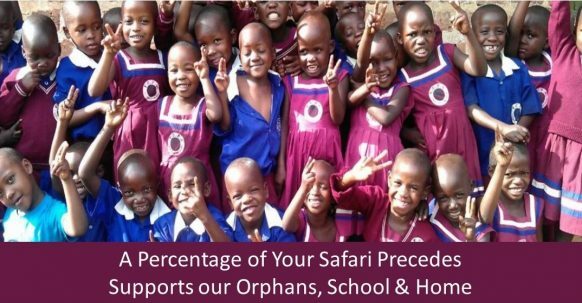 What illnesses do Uganda Gorillas suffer from? 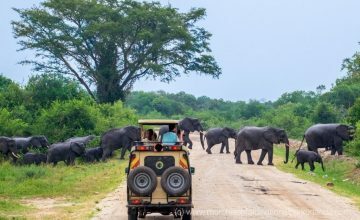 Gorillas in Uganda are prone to most of the human diseases and as a result it is very significant to note that travelers on gorilla safaris in Uganda keep a considerable distance (7m as recommended) to stop the transmission of these diseases. Besides the human diseases, the mountain gorilla habitats feature cold and wet climate which makes to gorillas to contract develop diseases like respiratory tract diseases especially Pneumonia resulting in to their death. Gorillas occasionally develop teeth cavities while for the mountain gorillas they hardly suffer from it since they consume little fruit and thus less sugar. However, the bad tartar in mountain gorillas causes periodontitis that dissolve the jaw bone eventually leading to loss of teeth. 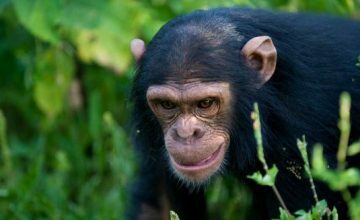 It can be noted that most of the free range mountain gorillas feature intestinal parasites (worms) and these affect both man and gorillas though others only capitalize on gorillas. 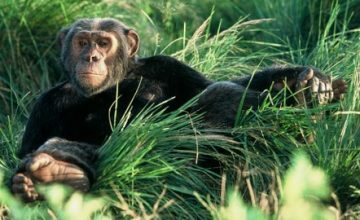 The malaria parasites also have got an effect on gorillas however they are different species than those that cause sickness in humans. 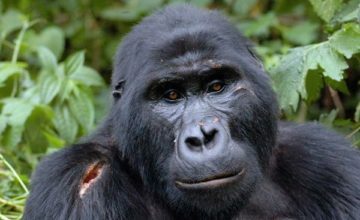 Snares usually set by poachers targeting other wildlife accidentally tend to grab the foot of the hand of the gorillas causing wounds that might result into death. 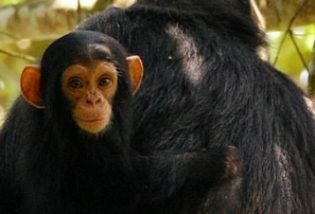 The case like ebora is a big threat to gorillas as it can be transferred from Humans to gorillas and vise versa. 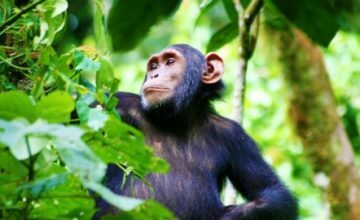 The Impenetrable forests of Bwindi that are positioned in the south west of Uganda support a minimum of 400 mountain gorillas that are close to a half of the critically endangered mountain gorillas. 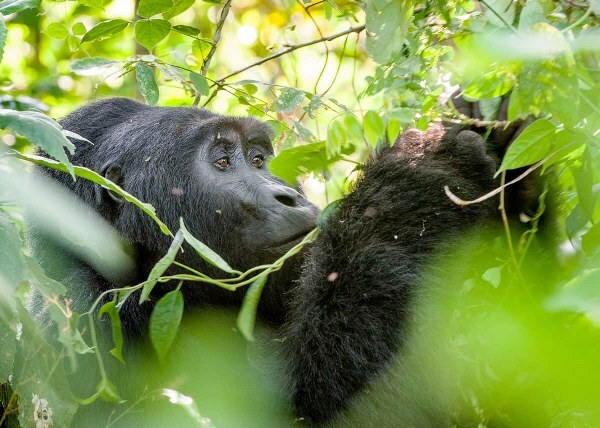 Bwindi Impenetrable National Park features a count of twelve (12) fully habituated gorilla families that are spread in its four gorilla trekking regions of Buhoma, Ruhija, Rushaga and Nkuringo. Other two (2) new gorilla groups are under habituation with the possibility of increasing the gorilla groups visited on Uganda gorilla safaris. 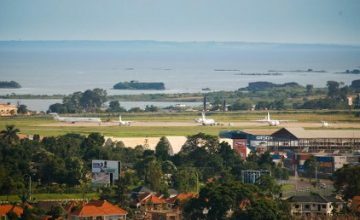 Besides Bwindi Impenetrable National Park, Uganda also features a second gorilla habitat named Mgahinga Gorilla National Park that is positioned at the extreme south western tip of the country. 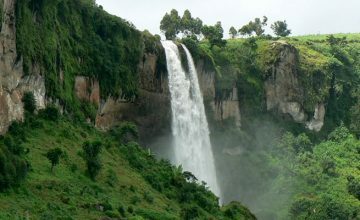 The protected area is part of the Greater Virunga Trans boundary Conservation Area which protects an eight mountain chain stretching from Uganda through Rwanda to Democratic Republic of Congo supporting a total of 480 mountain gorillas that are more than a half of the global mountain gorilla population. 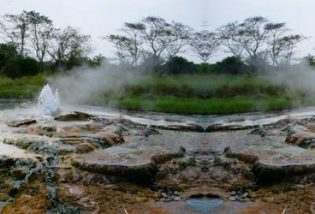 Mgahinga Gorilla National Park shelters one habituated gorilla family called Nyakagyezi that inhabits the slopes of the three volcanoes of Muhabura, Sabyinyo and Gahinga. 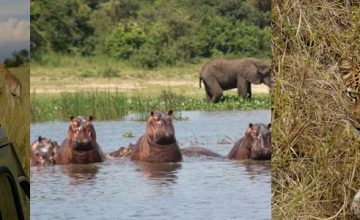 Thus your choice of undertaking a Gorilla safari in Uganda is never limited since you have a broad pool from where you can select the respective gorilla region and gorilla family to track. 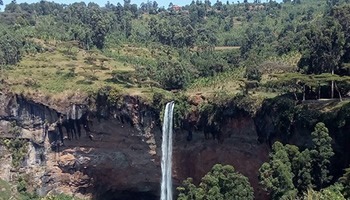 Mountain gorilla safari is so far the best Africa safari offer as noted by the seasoned world travelers. 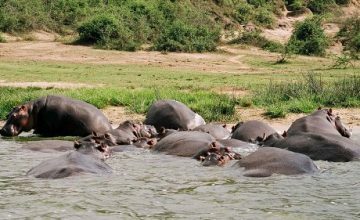 Gorilla trekking safaris in Uganda can be carried out at any time of the year. 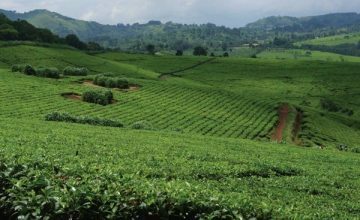 It can be noted that hiking the slopes of the Mgahinga or the hilly rugged landscapes of Bwindi tend to be challenging in the rainy season that stretch from the months of April through May and then November. 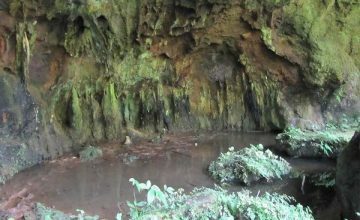 The forest trails are muddy and slippery present a challenging hike. The rain also presents uncomfortable trek if it happens to rain on the morning of gorilla trekking. 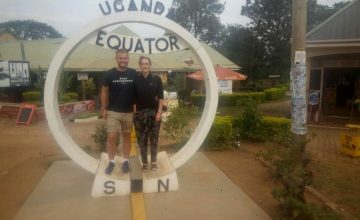 The common time preferred by the many to undertake Gorilla trekking in Uganda is in the drier months that stretch between December and February and then from June to around Mid-September. In Uganda, there are always Ninety Six (114) gorilla permitsavailable per day to trek gorillas in Bwindi Impenetrable National Park and eight (8) more gorilla permits present in Mgahinga Gorilla National Park with each permit costing about $600 for the nonresident foreigners, $500 for resident foreigners and 250,000/= for the citizens of the East African Community (EAC). 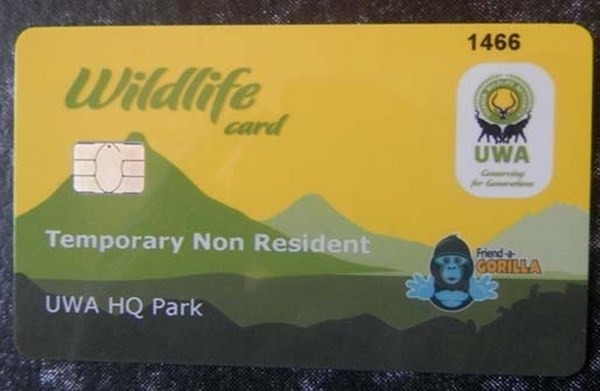 The gorilla permits in Uganda are solely sold by the Uganda Wildlife Authority which has offices in Kampala for the gorilla permits of Bwindi and in Kisoro for the gorilla permits of Mgahinga. 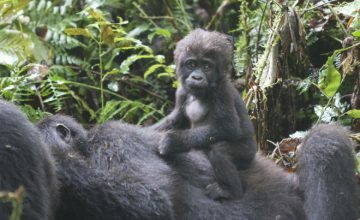 The gorilla permits of Mgahinga are sold on group because initially the gorilla family tended to cross to Congo thus the permit would be issued depending on whether the group is available. 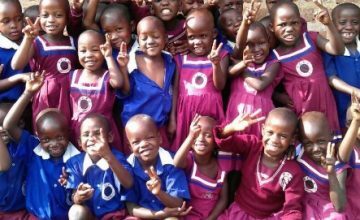 But the group now settled permanently on the Ugandan side though the permits are still issued on ground. In Bwindi Impenetrable National Park, there permits are sold per region and the more gorilla families in the region the more the permits. Rushaga in the south of Bwindi which features five (7) gorilla families has the highest gorilla permits in Bwindi followed by Ruhija and Buhoma that have three (3) gorilla families each and Nkuringo with its dual (2) gorilla family comes last. 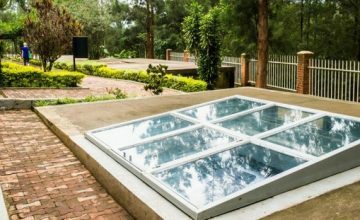 It should be noted that being a pioneer of gorilla trekking activity in Bwindi, Buhoma has well established facilities like accommodation and its trek is less challenging which makes her gorilla permits to be on high demand. 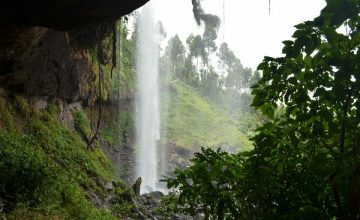 Nkuringo also features the most challenging hike in Bwindi and adventurous travellers are always in a rush for its only eight permits. Therefore, if you are targeting these toe regions, it is better to book far back in advance. 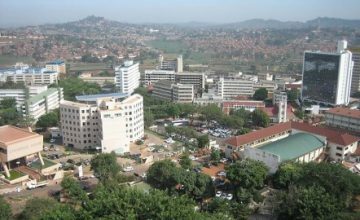 In Kampala, UWA offices are located along Plot 7 Kira Road, Kamwokya. 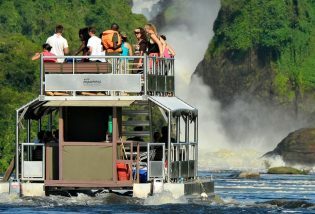 You have possibilities of booking a Uganda gorilla permit by yourself or through an Agent. 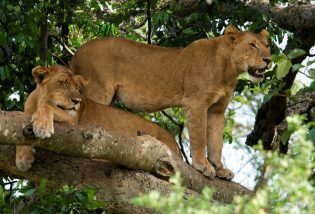 Prime Uganda Safaris can help you to book a gorilla permit on the preferred date. 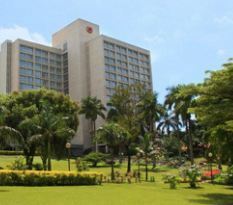 Kindly note that the criteria for booking the gorilla permit is first come and first serve and you need to submit the passport details for gorilla permit printing. 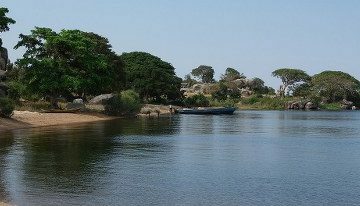 Just like the humans and other apes, the gorillas are not able to swim naturally and as a result tend to avoid expanse water bodies. 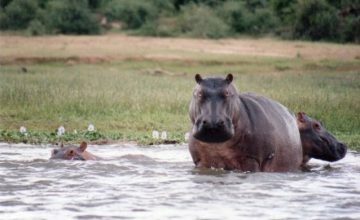 However, it can be noted that gorillas including the young and adult like playing with water and during their quest for food, the gorillas move through swamps walking on two legs with the water reaching up to their waist. When the rain shower is heavy enough to their surprise, the gorillas tend to stay motionless waiting for the rain to end. They will sit under the cave or any shelter of a similar sort if it is within the reach. The gorillas never utilize branches or leaves to cover themselves from rain something that is occasionally done by the Orangutans and the Bonobos. 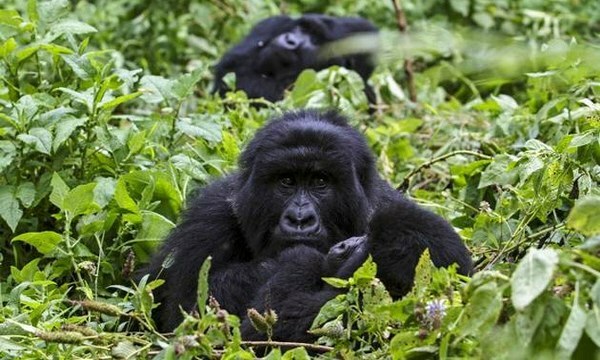 According to the study conducted in Virunga Volcanoes, the mountain gorillas embark on foraging early in the morning, rest in the late morning and around midday. They do forage again in the afternoon before retiring for overnight. The mountain gorillas depart their nests about 6am except for the cases of forecast and coldness where they are compelled to stay longer in their nests. It can be noted that mountain gorillas spend close to half day foraging while the resting times take about 1/3 of the day. The mountain gorillas spend around 6.5% of their day time moving from one point to the other while engaging in social behavior for around 3.6% of the gorilla day time. This tend to happen during the resting periods and as a result mid-day becomes a significant period regarding the social life of the gorillas since it is the period when the animals interact with their mates and when the baby gorillas play with no interruptions. It can be noted that gorillas primarily thrive on the ground and spend around 5 – 20% of their day time in trees which is lesser than the chimpanzees that spend 5 – 20% along with the orangutans that spend close to 100%. 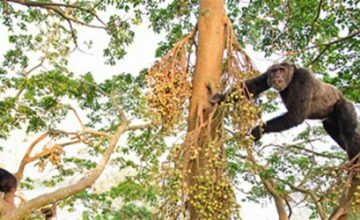 Gorillas climb to extract fruit or play and they usually climb quadruped-ally and on rare occasions, they jump from one branch to another. The Silver-back gorillas hardly move off the ground as result of their enormous size and would climb into fruiting trees provided the branch can contain their weight. Besides the humans, the gorillas have a few predators. The Leopard is noted to be the only one preying on gorillas. 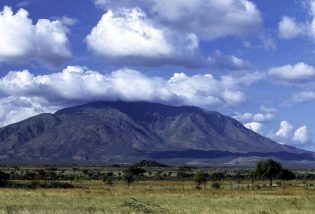 In the Virunga Volcanoes, the remains of a range of gorillas were found by Walter Baumgärtel after being killed by leopard. A similar case was confirmed in Gabon when a sick young gorilla was noticed to have been killed by leopard. The gorilla group would behave in a certain (special) way when threatened. 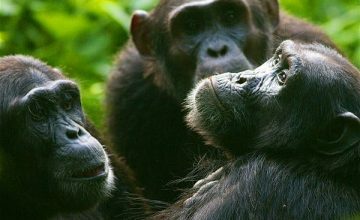 The Silver backs send off an intensive smell and produce characteristic sounds while other members congregate together, hug one another or surround the Silverback. 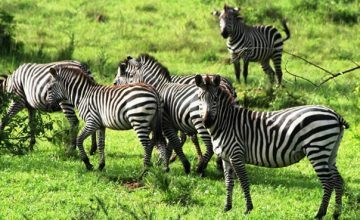 The adult males are charged with the responsibility of defending the group positioning themselves amidst the group and the attacker. 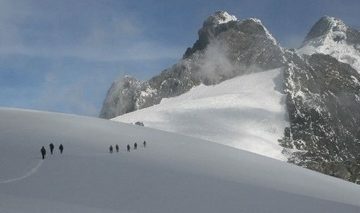 At times, this duty is taken over by the young males who take the group away from the danger source. 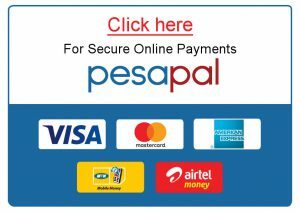 Behavior of Mountain Gorillas – How do Mountain Gorillas behave while on Gorilla Safaris in Uganda? Mountain gorillas are social animals and thrive in stable and cohesive groups which are kept together by long term bonds among the mature males and females. 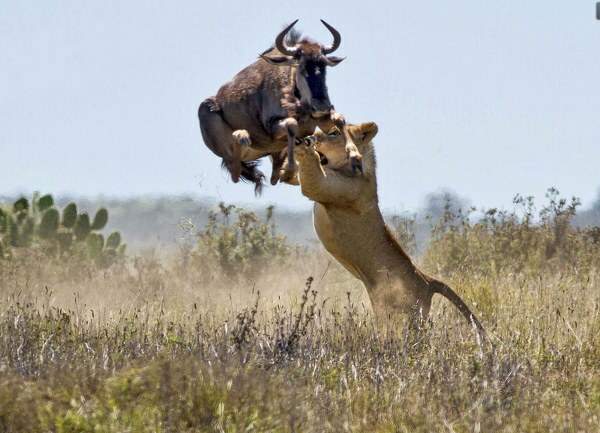 It can be noted that female relationships are averagely weak. The mountain gorillas are non-territorial Species and the silver-back gorilla would aim at defending the family other than the territory. It can be noted that 61% of the gorilla groups feature one mature male and a count of females while the 36% has features more than one mature male. The remaining gorillas either live alone like male or form exclusive male groups which feature one mature male and a range of younger males. 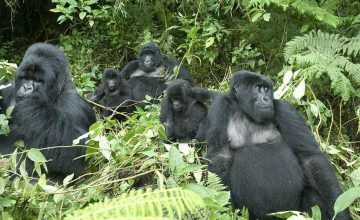 The mountain gorilla group sizes range from five (5) to thirty (30) with the common average being ten (10) members. 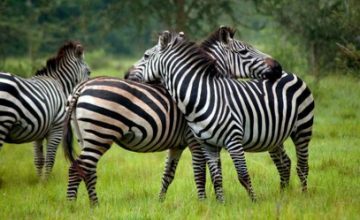 Atypical group features one main silver-back whose leadership is unquestionable followed by another subordinate silver-back who is commonly the half-brother, younger brother or even an adult son of the reigning silver-back. 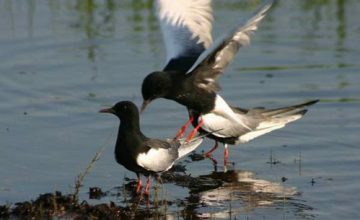 From this position, there follows the one (1) or two (2) black backs that act as watchmen, three (3) or four (4) that are sexually mature and more bonded to the main silver-back for life and these are followed by a range of Juveniles ranging from three (3) to six (6) and the infants. 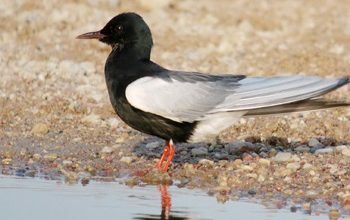 It can be noted that a considerable number of males and around 60% of the females depart their natal group. 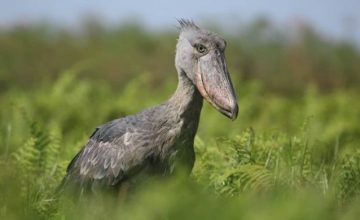 The males tend to leave the group when they are around 11 years old and process of separation takes time with them starting to forage on the group edge up to when they depart altogether. 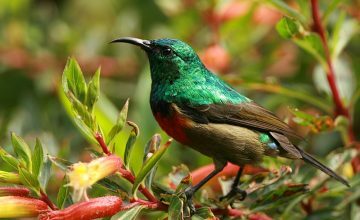 They can leave alone or with an entire male group of 2 – 5 years before attracting females to join them and put up a new group. 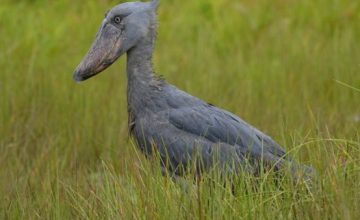 The females are known to leave the group when they are eight (8) years and they either transfer direct to an already established group or forming up a new one with a lone male. 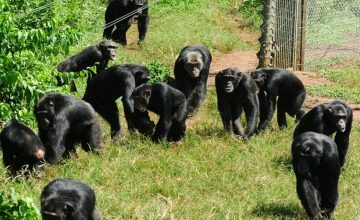 It is noted that female tend to transfer to many gorilla groups before settling in one. Dominant Silver back decides on the group movements leading them to the ideal feeding areas all year round. 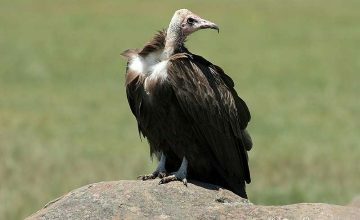 The Silver back settles conflicts within the group and ensures that the group is protected from the external threats. 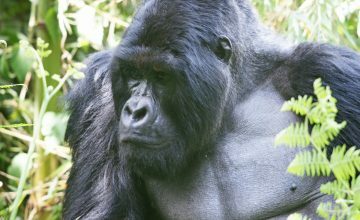 In case of any attack from predators like leopard, other threats like humans or attacks for other gorillas, the Silverback is dedicated to fight beyond self. The Silver back is the center of focus during the resting periods and the young gorillas always stay close to him and engage him in their playful games. When a mother dies or happens to evacuate the group, the Silver-back tends to take care of the abandoned baby even sharing his nest with the young. 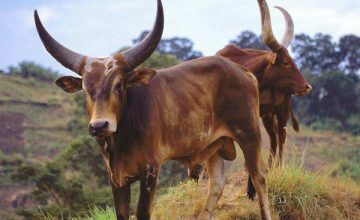 This alloparental care is also encountered in a range of other animals including the wolf and the elephants. 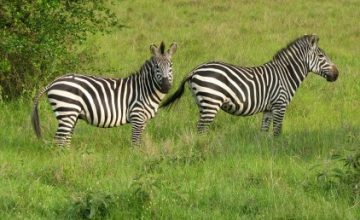 The silver-backs which are experienced can even remove the poacher’s snares from the feet or hand of any group member. 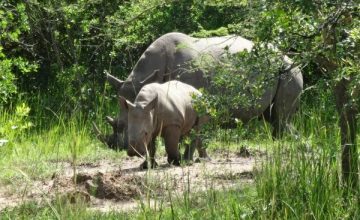 It can be noted that in cases where the Silverback passes away succumbing to a disease, poaching or accident, there happens a family disruption unless when he has left a capable successor behind. 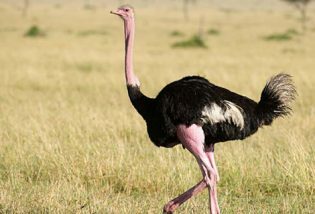 The group splits up or can be taken over by a foreign male. At times, the new Silverback can kill all the infants left by the deceased in order to enable the female conceive its young ones. However, this infanticide has never been encountered in stable gorilla groups. There are twenty five (25) vocalizations recognized among the mountain gorillas most of which are applied within the group to communicate while foraging in the dense vegetation that they inhabit. The Sounds that are categorized as barks and grunts are made when the gorillas are on the move and help to locate the whereabouts of various group members. These sounds can also be used in the social interaction when there is call for discipline. 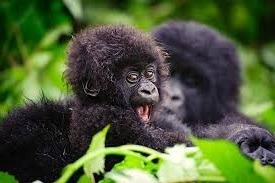 The warning or alarm is done by screaming or roaring and are mostly released by the silverbacks. In times of contentment especially during periods of feeding and resting, the deep, rumbling belches can be heard. 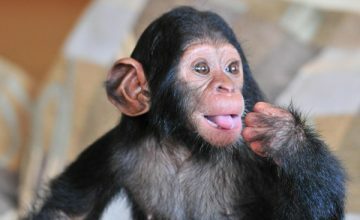 They are also commonly used in the intra group communication. 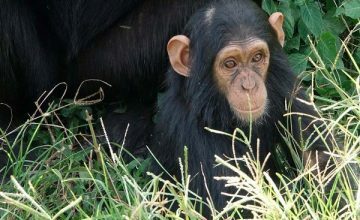 Mountain gorillas are reportedly naturally afraid of the given reptiles due to unclear reasons. The infants which are noted to have habit of chasing anything that might present itself in moving motion would dive way for caterpillars and Reptiles. The Mountain gorillas are noted to fear water and would do stream crossing if they can do so without becoming wet such crossing on the fallen logs. 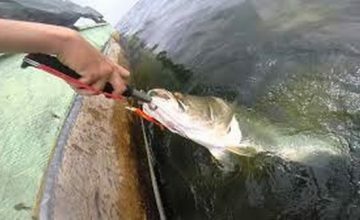 However in situations where they do not have option, they cross the water bipedally. It can be noted that Mountain gorillas also dislike rain and in situations of heavy down pour they can stand still or sit below a cave or a similar structure. The issue of whether gorillas are stronger than humans is still a matter of debate. It can be noted that gorillas can up root small trees while others have been encountered shaking even the mature well-grounded trees. The fight between two silverbacks can lure a person into remarkable trembling. These are yardsticks to ascertain the strength of a gorilla but there not the exact gorilla strength. Various people argue that a male gorilla is stronger than a man 10 times though others claim 27 times but none of these have been proved. Other arguments indicate that a group of 8 strong men are required to hold down a silverback gorilla. Other groups argue that a gorilla can crush the limbs of 10 heavy weight boxers even when they are using drugs. As a result, it is noted that man should desist from angering gorillas even when the gorillas are habituated. Even a female gorilla can beat a human being to death. Even the young gorillas are strong enough not to be contained by humans because a single person cannot contain 4 year old gorilla. It can be noted that Gorillas still do swinging and walk on four legs which makes its arms more engaged and thus stronger than those of human beings. 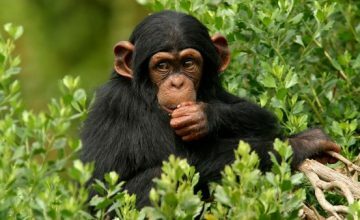 What do Gorillas in Uganda- Bwindi Impenetrable Forest / Mgahinga Gorilla Park eat? gorilla in uganda eating The question of what the gorilla eats depends on the season of the year and the respective gorilla habitat has to offer. It can be noted that mountain gorillas consume parts of green plants while for lowland gorilla take plenty of fruit. 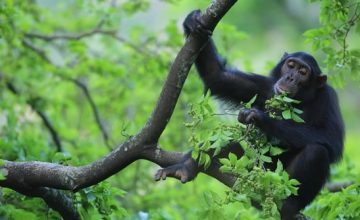 In the dry season, the availability of juicy fruits is limited which makes the gorilla to consume of the tree bark and fruits. Generally, the gorillas are noted to stick on the vegetarian diet consuming the bamboo shoots, the stems along with fruit while for the Western lowland gorillas that go on to consume ants, termites and even go ahead to break the termite nests to consume Larvae. Since the fruits grow on trees, the gorillas of all age categories climb these trees to harvest them. 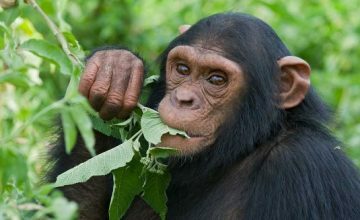 Even though the western gorillas feature a lot of fruit consumption more than stems, leaves, shoots and piths, they cannot exceed Orangutans and chimpanzees in the quantity of fruit consumption. It can be noted that the western gorillas feature a wide range of around species of plants that belong to the arrowroot and ginger families while the Virunga and Bwindi dwelling mountain gorillas consume only 38 plant species mostly thistles, nettles, Galium and celery. 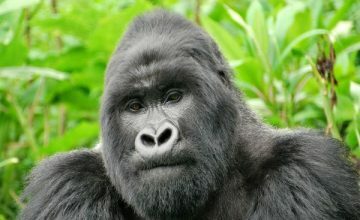 The mature Grauer’s gorilla male is noted to consume up to 30 kg of plants daily while for the females, it is around 18 kg. Gorillas feature strong chewing muscles that allow them to process this plant material gathered. 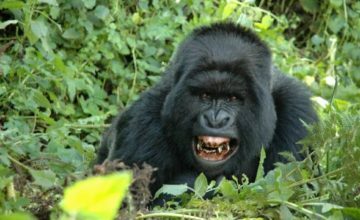 The teeth of the gorilla are like those of humans apart their long pointed canines possessed by mature gorilla males though it is used for fighting other than feeding. 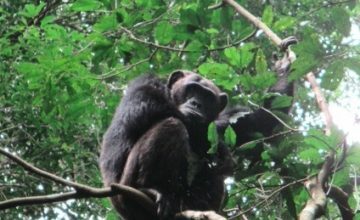 What threats do Gorillas in Uganda face? 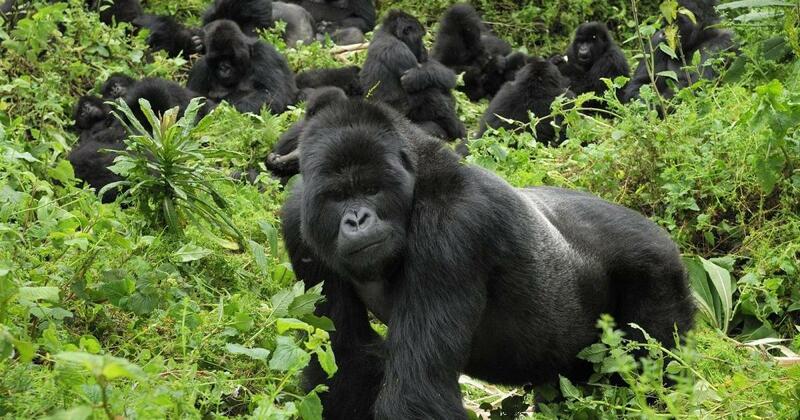 It is noted that Mountain gorillas are critically endangered which is even highlighted on gorilla safari in Uganda. 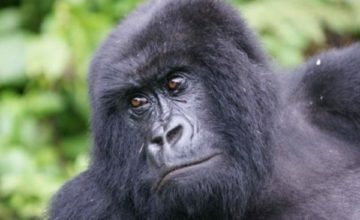 The gorillas are sensitive to environmental alterations especially their habitats. 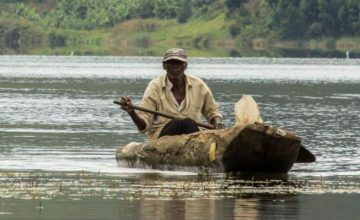 In the Virunga Volcanoes, gorillas are disturbed by loggers, cattle herds, honey and grass collectors, poachers and smugglers not forgetting the visitors on gorilla safaris themselves. Mining is also a point of disturbance to gorillas in some parts. In most of the aspects, the poachers tend to set wire snares to catch the duiker but unfortunately the gorillas become victims losing their hands or feet resulting into death. The vets tend to remove such snares in the habituated gorilla groups. For the western and Grauer’s gorilla are hunted for their meat by the local people despite its illegality. The gorillas also raid on people’s gardens and are killed since it is noted that one gorilla group can put down the entire harvest. 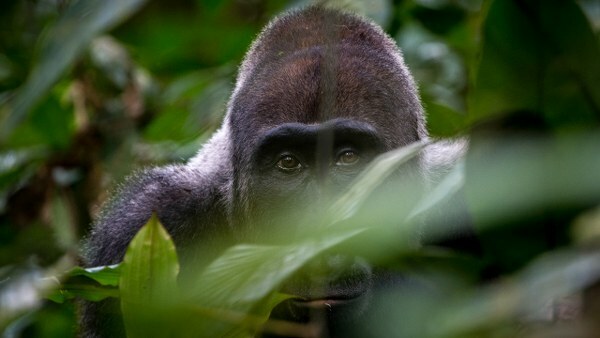 The increasing gorilla habitat loss arising from rain forest deforestation creates small patches of isolated forests which are inadequate for the gorillas to forage. The Ebola virus is also a main threat to western low land gorillas. Uganda Mountain gorillas are noted to be thriving in the cloud montane forests in the Albertine rift that stand at an altitude of 2,200–4,300 m above sea level. These are distributed into two separate but close ranges with the Virunga Volcanoes which is a chain of eight volcanic mountain stretching from Congo through Rwanda to Uganda and the detached Bwindi Impenetrable National Park in the south west of Uganda. 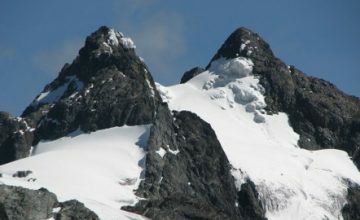 It can be noted that the vegetation on these raised altitudinal landscapes is very dense and it definitely gets scarce when approaching the higher elevations of the Mountains. 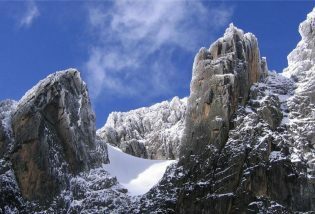 The mountain gorilla forests are noted to be misty, cloudy with cold conditions. 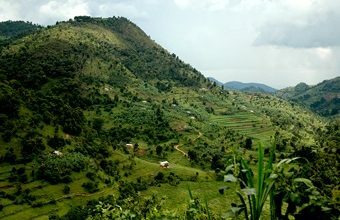 The Mountain gorilla home range is determined by the availability of food sources and the home range normally features a range of vegetation zones. 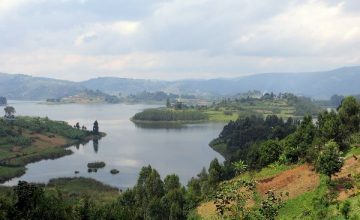 Some of the vegetation zones frequented by mountain gorillas include the lower Bamboo standing at 2,200–2,800m, the Hagenia forests standing at 2,800–3,400 m and the giant senecio zone standing at 3,400–4,300m. 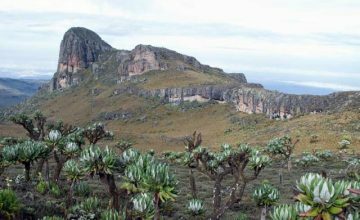 It should be noted that the mountain gorillas spend much of its time in the Hagenia forests where their preferred gallium vines exist throughout the year. The parts of the gallium vine are eaten all including the stems, leaves, berries and flowers. The mountain gorillas tend to dwell in the bamboo forests in the few months when the fresh Bamboo shoots exist. The mountain gorillas would then climb to the subalpine regions to have a taste of giant senecio trees soft centers. 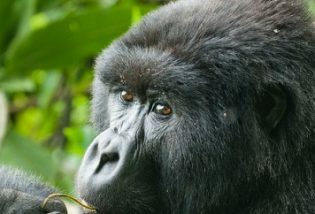 It can be noted that Mountain gorillas comprise 98% of man’s DNA and as a result they are prone to disease contraction. 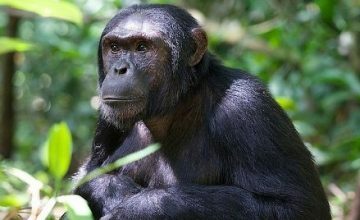 The human infections especially the respiratory ones are dangerous to gorillas because the gorillas do not feature the immune system to neutralize such diseases like that of humans. In fact, a common cold to a gorilla can be threatening. On tourist group of eight (8) people can be allowed to track one gorilla family. A minimum distance of 7m should be observed between the gorillas and the gorilla trekkers. Since gorillas are unaware of this and attempt to draw closer to you, kindly try to take steps away to maintain the distance. On the moments with the gorilla group, the voices should be kept low and the sudden unnecessary movements avoided ensuring that mountain gorillas are relaxed. Even though the mountain gorillas are habituated, the fact remains that they are wild animals and thus can react if they feel not safe. Always follow the rangers instructions; including desisting from running, crouch down and allow them to pass avoid looking straight in their eyes. 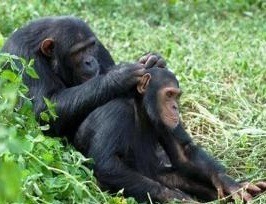 The hands have to be washed before heads for the gorilla trekking encounter. 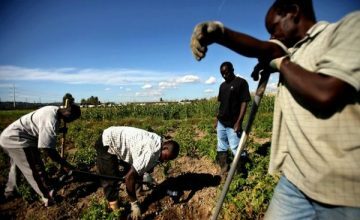 In case you want to use a bush toilet, let the range know such that he can dig for you a hole using his Panga and has to be 30cm deep and then you close it after use. 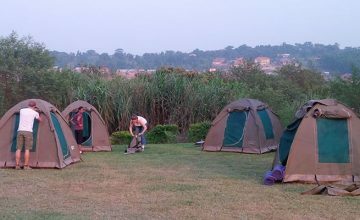 What kit should you take for a gorilla trekking safari in Uganda? It can be noted that the paths in the mountain gorilla habitats tend to be slippery, steep and muddy which makes the study walking shoes important. 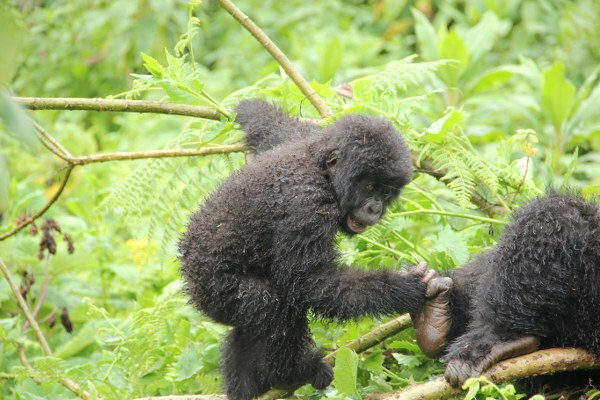 Gorilla trekkers also need to have thick gardening gloves since you can get hold of a tree with nettles and thorns while looking for support through challenging hiking sections. 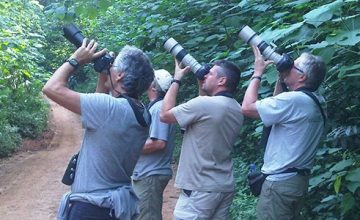 Taking photos with mountain gorillas during Uganda Gorilla tours is a living testimony of your encounter with them and there is no limit to the number of pictures one should take during his / her one hour with gorillas. However, it can be noted that light or flash photography is prohibited as it is too sharp in the rain forests and not good for the gorillas especially when the all eight people take flash photos at a minute interval for one hour. Thus, photos have to be taken without flash. A camera gear is also required to save your camera from rain. 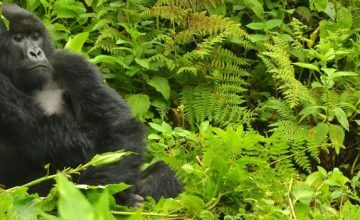 The conservation of mountain Gorillas has contributed to their increasing numbers in the two of their habitats namely the Bwindi Impenetrable National Park Uganda and Virunga Volcanoes national Park Rwanda. Apparently the mountain Gorilla population is given at 880 individuals. There are also three young gorillas that were affected by trauma as a result of poaching, snare injuries and the loss of the mother as a result of brutal killing thrive at in the DR Congo’s Senkwekwe Centre orphanage in at Mikeno Lodge in the Virunga National park Congo. 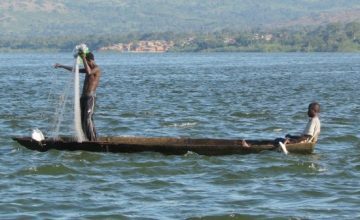 Virunga National Park official website announced in December 2010 an increment in the mountain gorilla populations thriving in the Virunga massif by 26.3% for the seven years past with an estimated mean growth rate of 3.7% per year. 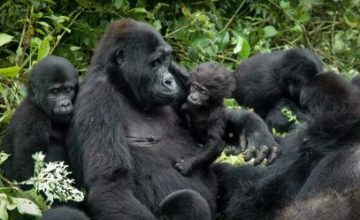 The census that was conducted in the same year gave the figure of the mountain gorillas at 480 in the massif which is shared by nations of Uganda, Congo and Rwanda rising from 380 mountain gorillas that were ascertained in 2003 and the 320 members in 1989 not forgetting the 254 gorillas in 1981. 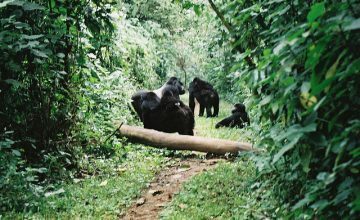 In Bwindi Impenetrable National Park in the south west of Uganda, the 2011 study gave the gorilla population at a minimum of 400 individuals showing a steady increase from the 340 in 2006 and the 320 in 1997. It can be noted that these numbers were ascertained using traditional methods of gorilla counting including collecting dung samples from the night nests of gorillas. In contrast, the genetic analysis indicated that there were 300 gorillas in Bwindi by 2006. 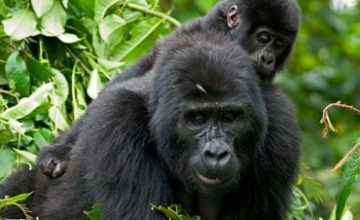 It can be noted that either in Bwindi or the Virunga massif, the gorilla groups which are habituated for Gorilla trekking safaris in Uganda, Rwanda and Congo have a considerable growth rate compared to those groups that are not habituated as given by computer modeling of dynamics of their populations. 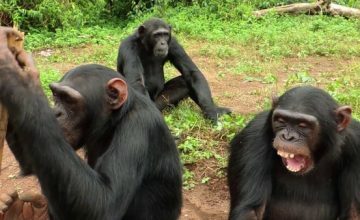 The Habituation can be interpreted as the repeated and neutral contact of gorillas with humans resulting into the gorillas getting used with people and would depict normal behavior even when people are around. The habituated gorillas have opportunities of being guarded by park rangers, receiving veterinary treatment in case of Habituated gorillas are snares or other diseases unlike the unhabituated. 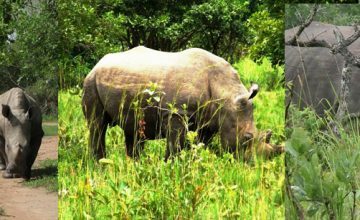 However, gorilla researchers still recommend that a section of gorillas should remain wild (unhabituated) to avoid gorilla extinction in case the dangerous human pathogens are transmitted to the habituated ones. It should be noted that regardless of increasing numbers, the mountain gorillas are still threatened and the International Union for Conservation of Nature lists them as critically endangered. The gorilla families do not actually need independent territories nor do they position themselves to defend their territory from the rest. 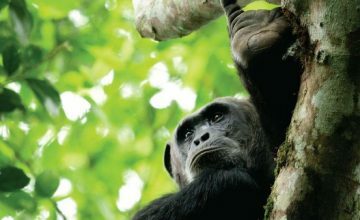 It can be noted that gorillas roam in the home ranges of which the size is dependent on the availability of food. 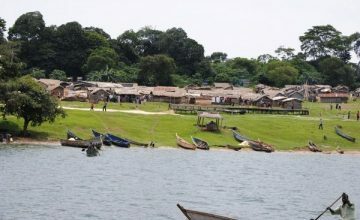 The home ranges are noted to be extended in areas where food is spread widely but in case of abundant availability of food the range tend to be limited. 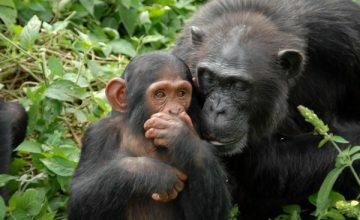 The space also depends on the family members possessed by a given gorilla group. The more the members, the wider space it would require thriving. This at times explains the difference in duration for gorilla trekking activity between different gorilla families. 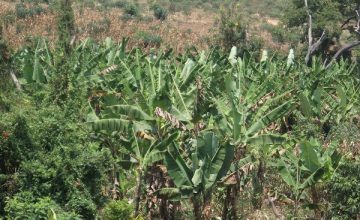 The gorilla home range contain differing vegetation zones which are utilized seasonally stretching between 4 & 8km2 and even to 30km2 in the areas that are less fertile. 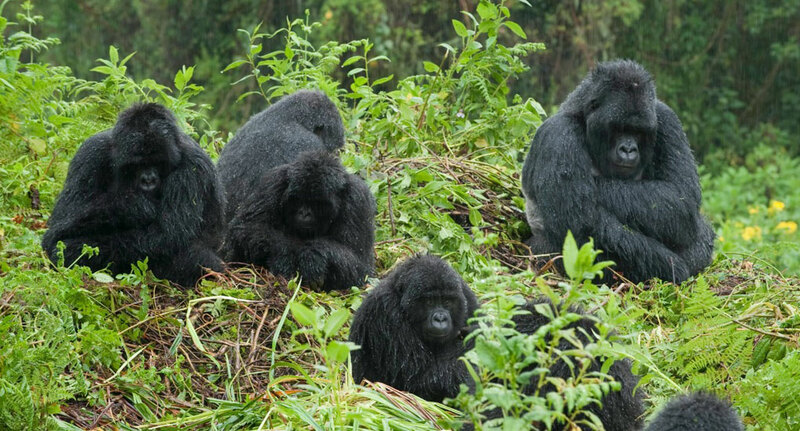 It can be noted that home ranges at times overlap and it no surprising to find one gorilla groups entirely with in the home range of another gorilla group. 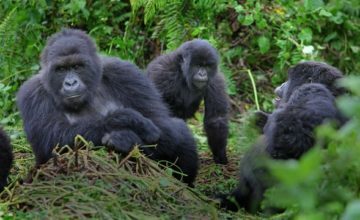 The gorilla groups tend to move an average distance of 0.5 – 1km to do foraging per day depending on the availability of food. At times, gorillas move to far distances targeting the trees of their loved food. 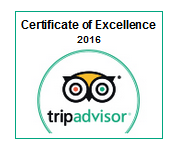 This also affects the duration Gorilla trekking tour in Uganda and Rwanda. It can be noted that new nests are constructed per evening by the gorillas even if the previous nest is within the close reach. 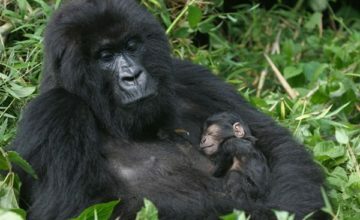 Every gorilla puts up his / her nest except for the infants who sleep with the mothers in the same nest. The gorillas settle in their respective nests about half an hour to the dark. It is on rare occasions that gorillas out up nests for midday use. 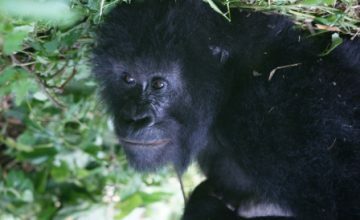 Regarding the construction of a ground nest, the gorillas pulls the branches of plants to the center, layer and anchor them on each other while other plants are also bent in to form the rim of the nest. For the tree nests, they are put up in forks of branches or related structures and they are built to strength in order to contain the weight of the gorillas. The young ones and females prefer to sleep in trees but the silver-backs rarely do because of their enormous weight. Mountain Gorillas are noted to be the descendants of old world monkey and the apes that are known to have thrived in Africa and Arabia at the onset of the Oligocene epoch about (34-24 million years ago). 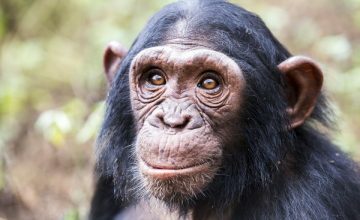 The evidence gathered from fossil records indicates the existence of hominoid primates (apes) in the region of East Africa approximately 18–22 million years past. 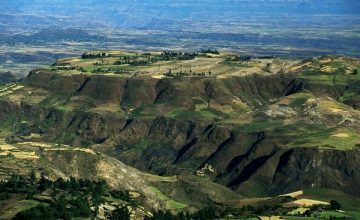 However, it should be noted that the fossil record in the area where the mountain gorillas are known to thrive is poor which gives unclear history of evolution. It can be noted that around nine (9) million years ago, the primate group that was to evolve into gorillas disintegrated from the common ancestor along with humans and chimps resulting into the formation of the genus gorilla. Though it is not certain who the earliest gorilla relative was, it’s believed that Proconsul Africanus the early ape could be the one.